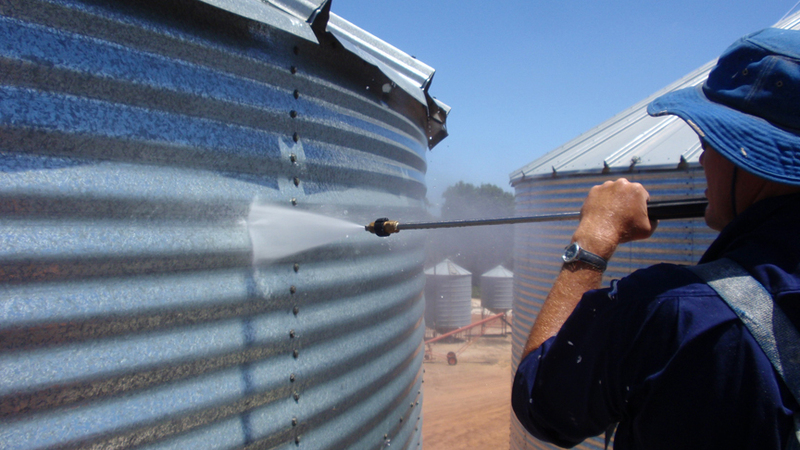 Fumigating with phosphine in unsealed silos does not kill pests at all stages of their life cycle. 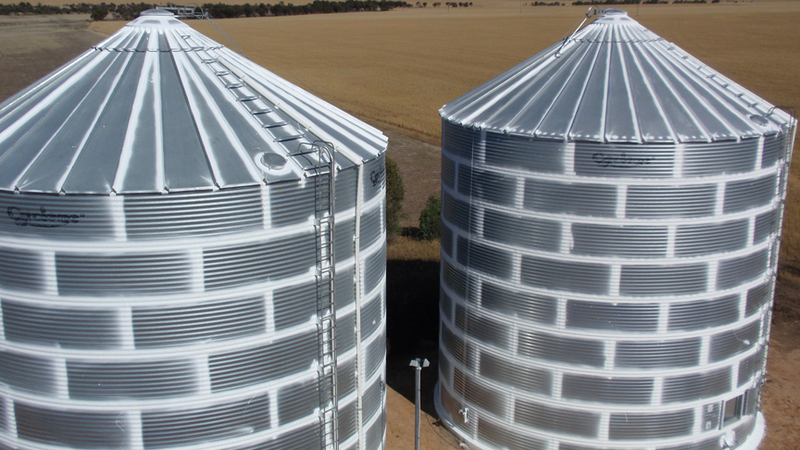 Repeat fumigations in unsealed silos increases resistance levels and select for insects with a higher phosphine tolerance. In order to kill grain pests at all stages of their cycle (eggs, larvae, pupae, adult), phosphine gas concentration levels need to reach and remain at 300 parts per million (ppm) for seven days or 200ppm for 10 days. 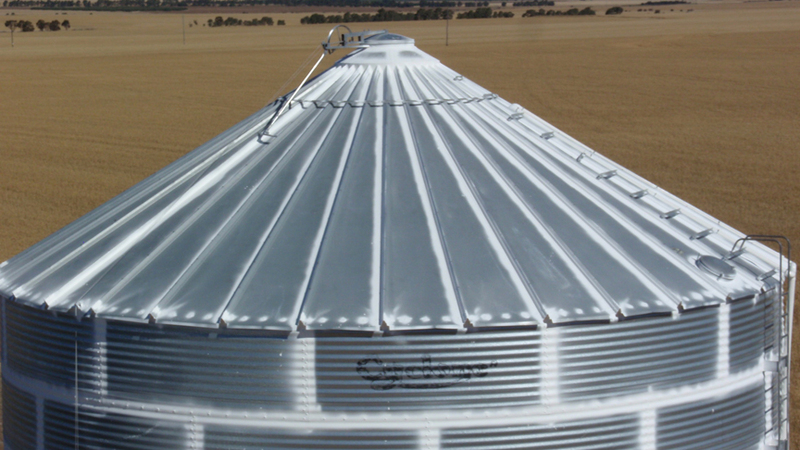 Trials show that these levels of gas concentration are impossible to achieve in silos that are not pressure tested and sealed gas-tight, so insects will not be killed at all life stages. The fumigation may appear successful when the adults die but the surviving eggs and pupae will continue to develop and reinfest the grain. 2. Pressure cleaning the entire surface removing any dirt, grime and contaminates is essential. 3. Sealing the top inload hatch flashing using Glo-Mastic membrane. 4. Sealing the external floor to wall joint with a trowel able Global Flexible Filler over the joint. 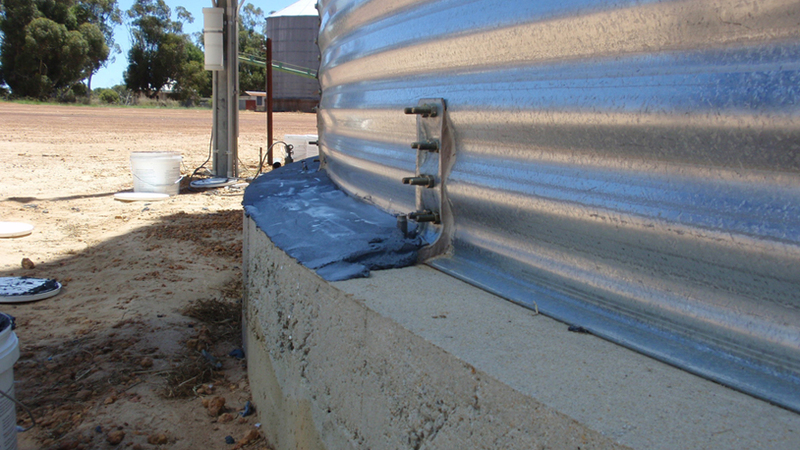 This is applied at a 10 deg slope away from the silo wall to stop water ponding at this location and can withstand the excessive movement. 5. The roof to wall section which is called the eave is generally the hardest area to seal. The void at the eave can vary pending on design and manufacture and needs to be very flexible as the roof and wall metal thickness are different which move at different rates. 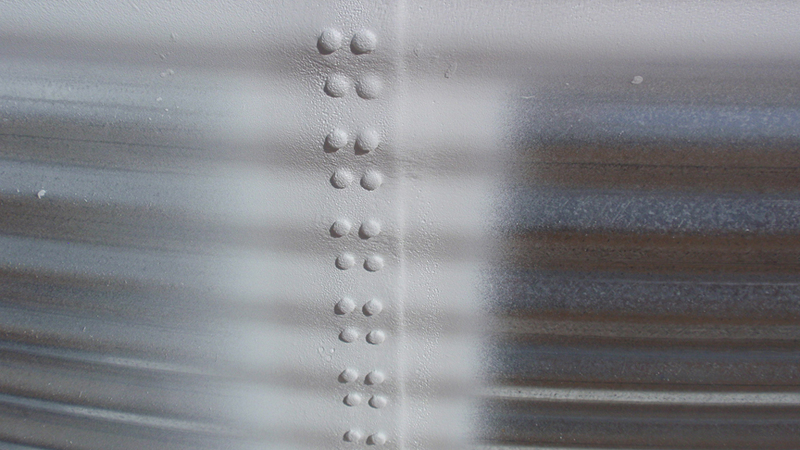 This area is sealed using a combination of polyurethane mastic’s and Glo-Mastic. 7. 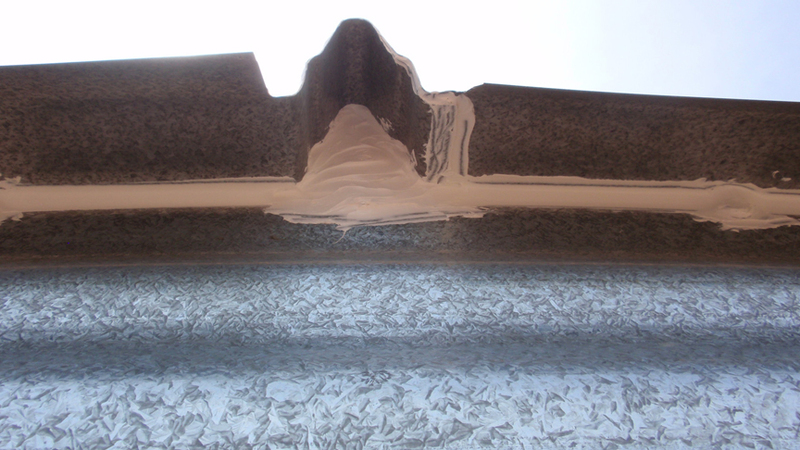 The roof metal joints sealed using Glo-Mastic. 8. 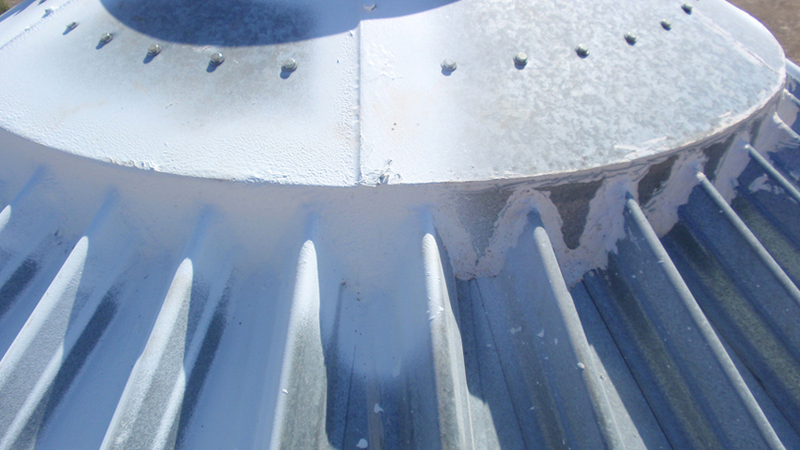 The entire silos joints, bolts, flashings and penetrations over the walls and roof sealed using Glo-Mastic. 9. 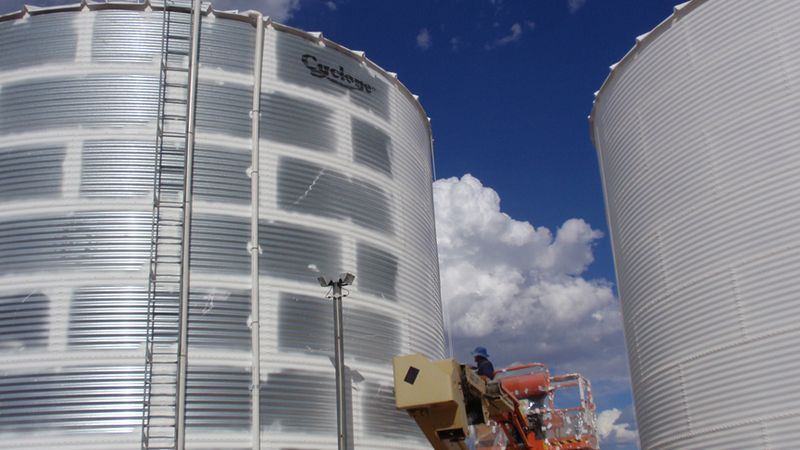 The silos ready for 2 coats of HRC (Heat Reflective Coating) over the entire surface including the concrete stud wall to reduce the internal temperature and pressure on the seal. 10. 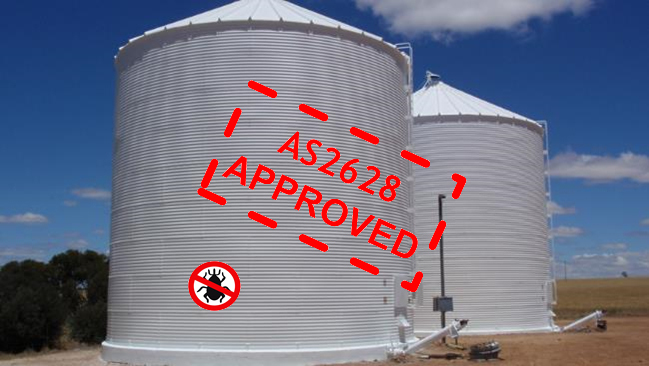 Sealing project completed in 9 days to AS2628 . 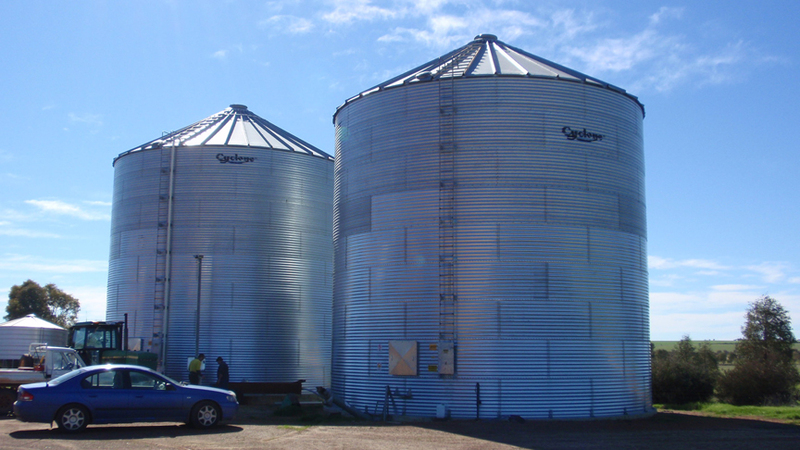 2 x 1000 tonne silos ready to be fumigated as this process can be done full or empty.